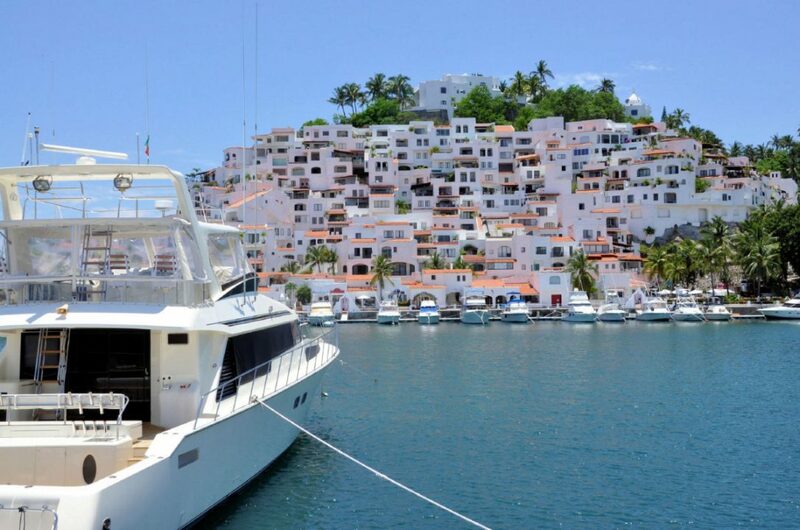 Sightseeing Manzanillo, gold beaches with a lot to offer. It is one of the main ports for maritime load input from all over the world although in recent years it has become important as a tourist destination for its beautiful beaches lapped by the Ocean Pacific and various mostly aquatic activities conducted in natural settings very beautiful. 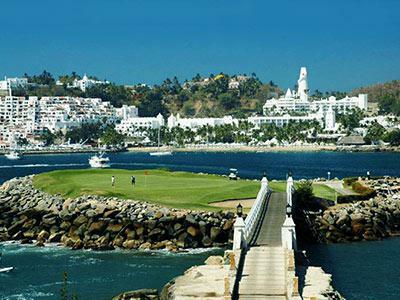 Similarly you can find hotels in various price ranges, here we will recommend, from cheap hotels to five stars with all the luxuries that sightseeing Manzanillo has for you. Manzanillo is located in Colima, a small State located west of Mexico which is surrounded almost entirely by one of the top 3 states in that country: Jalisco. It is located to 290 km (180 miles) from the city of Guadalajara, and 834 km (518 miles) from Mexico City. It has an international airport called Playa de Oro and it is located 30 minutes from the port of Manzanillo, but it is really very small so it's hard to get here by plane. Only get very few airlines like Delta, American Airlines and Aeromexico and high prices really not worth paying. We mention several examples being the most notorious of them an American Airlines flight from Phoenix to Manzanillo, has a truly crazy and exaggerated cost of MXN$ 68,300 (USD $ 4,000) round trip. If traveling from Los Angeles the price will be MXN$ 21,000 (USD $ 1,235) but if you get to Guadalajara City instead of to get to Manzanillo significantly reduces the cost to MXN$ 5,800 (USD $ 340). So the key will be in getting to Guadalajara and then take a bus to Manzanillo where you will spend 5 hours on the journey but at a cost of MXN$ 900 round trip (USD $ 53). We know that Guadalajara is with Monterrey and Mexico City, one of the 3 main cities of the country, so it is much easier to access by plane to this city than a not as common destination like Manzanillo, hence the difficulty to get here by plane. For our travelers from abroad we have similarly that all airlines traveling to Guadalajara from anywhere in the world and with more affordable prices ranging from MXN$ 5,800 (USD $ 340) to MXN$ 30,000 (USD $ 1,765) coming from several cities like Los Angeles, New York, Paris, Madrid, Moscow, Berlin, to name a few. In Guadalajara, from the airport to the bus station are 18 km and you will spend 20 minutes to get in a taxi that will charge you MXN$ 250 (USD $ 14) or if you take more time and want to save more, you can take public transport (2 buses) with a fare to MXN$ 17 (USD $ 1) but you will get in approximately 1 hour. 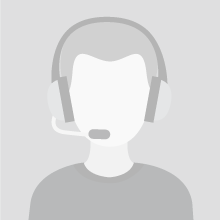 The buslines that get better service are Primera Plus or ETN. The Manzanillo bus station is located at Obras Maritimas Street near the corner of Miguel de la Madrid Street. 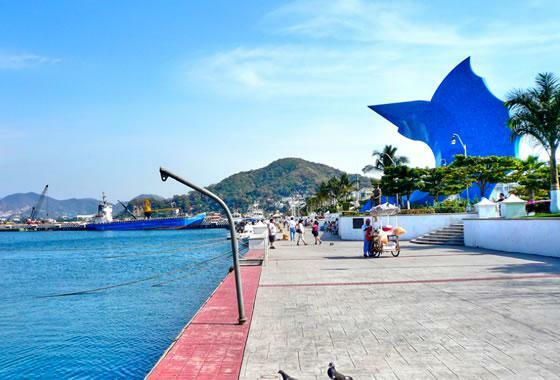 To stroll and admire the beauty of the sea we can begin to visit the Malecon of Manzanillo (Manzanillo Pier). It is a small square where is very pleasant to walk, get ice cream, make your first souvenirs shopping on the square that is on one side or to buy some extra items you need last minute and take several photos with an iconic swordfish and Pacific Ocean like background. A few steps away is the Colonial Hotel, which offers its own restaurant with delicious and very cheap meals, also it has an Oxxo shop in the hotel (it’s a shop like 7-Eleven and they are in all the country also) allowing you to shop 24 hours. Their room has a cost of MXN$ 990 (USD $58) per night. If you want a hotel at a good price and have a pool and also is near the beach and with very good location in the downtown then it’s the Hotel Zar Manzanillo, with free wifi and a cost per night of MXN$ 800 (USD $47). “La Campana” (The Bell) is one of the few archaeological sites that are in Colima and which many do not know. 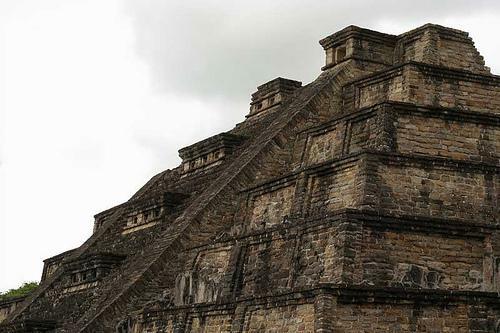 It is advisable to hire a tour guide that don’t spend a lot time with the tour but that will give a comprehensive explanation about the Ruins and the Mesoamerican culture that lived thousands of years ago in this area of Mexico. This archaeological site is north of the State capital of the same name, in Villa de Alvarez so from Manzanillo only you will spend 1 hour 30 minutes because it’s to 100 km distance to get here. It has an incredible view of Colima Volcano and you need to wear sunscreen, comfortable clothing, tennis, sunglasses and water as the heat is scorching almost everywhere in the State. Schedule to enter this place are Tuesday to Sunday from 9am to 5pm and entrance fee of MXN$ 47 (USD $ 2.50). Near this last archeological vestige is another no less important archaeological site called El Chanal with large buildings that represented a complete city for the inhabitants of this place dating from 1300 is B.C. although the biggest population boom was not until 1100 A.D. Across the river towards the volcano other ruins are seen as if they were part of another Pre-Hispanic city and the tour guide is the one who will give a full explanation of what was this culture before the Spanish Conquest. Here is open Tuesday to Sunday from 9am to 5pm and has entrance fee of MXN$ 39 (USD$ 2.30). If you have a little time and energy to make a quick tour returning to Manzanillo, you can pass through the Colima Downtown where you will meet several churches of beautiful architecture that would be useful to look starting in the Zocalo with the Colima Cathedral Basilica Minor and discovering the others on a couple of streets. In Santiago Peninsula is where the best beaches around Manzanillo, and therefore the best hotels so access is not so easy unless you are a guest in hotels like Las Hadas Golf Resort & Marina Manzanillo and the Hotel Barceló Karmina Palace Deluxe which really will not need to leave the hotel because the beach is very clean, with golden sand with calm waters and very safe if you have kids and no hawkers. In the Navy you can find many fine restaurants with meal from around the world like steaks, Italian food, Cantonese food or seafood with a little high but worth it; plus a wonderful view of the Navy and the sea. Prices of both hotels range between MXN$ 2,500 (USD $147) and MXN$ 3,500 (USD $205) per night but they have all-inclusive service and first class facilities. If you are looking for to be within the zone without paying much then we recommend the Dolphin Cove Inn Hotel located between the two hotels mentioned above, built on a hill and therefore with unmatched sea views in all rooms, access to beach and wifi only in the lobby. This hotel has a cost of MXN$ 1,200 (USD $70) per night. There are several beaches to recommend, one of which is Playa Miramar where you can do everything from kayaking, boat tours, snorkeling, water skiing, diving or just relax watching the wonderful sunset, Playa Miramar is closer to the center in Naval Zone and where there are many hotels for all budgets. 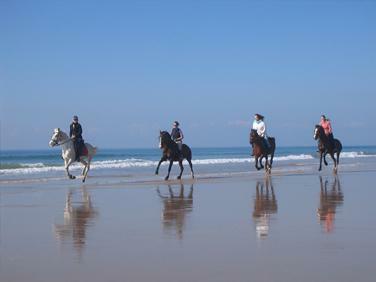 For all water activities you can be hired tourist guides, but the most prominent is the company Danitours. They offer excellent service, reliable and cheap; led by Daniel Haro (his number is 52 314 872 4524) who has a lot of knowledge in water sports and the city in general, it is bilingual and is also certified as a tour guide offering a wide range of tours as mentioned above without neglecting the sighting of hawksbills in the lagoon coupled with more characteristic fauna such as birds and alligators or also horse tours on the beach that will make your trip to Manzanillo a truly unforgettable experience. Read our previous article The Best Hidden Gems Of New Zealand That Must Not Be Missed! Thank you for opening new destinations for your visitors! I will put it on my list now!